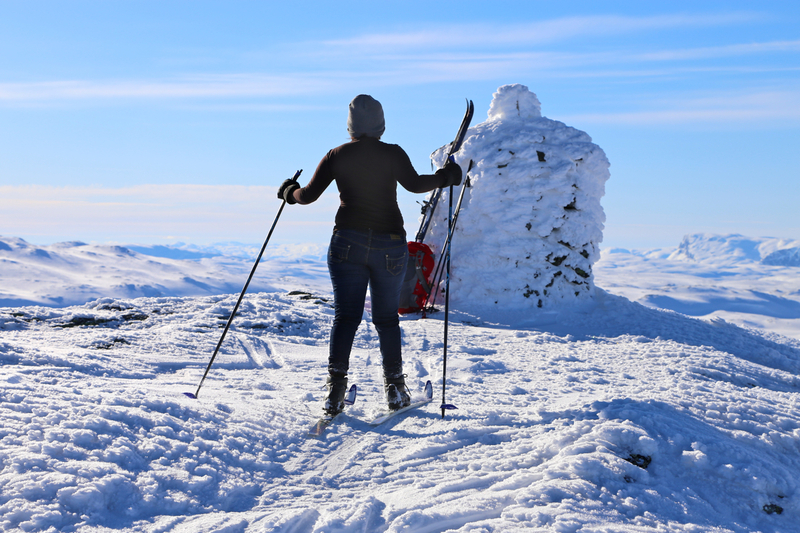 Take the train from Oslo or Bergen to Finse, the highest station on the railroad. From Finse station, you see the Store Finsenuten across the railroad and slightly west. There is a pronounced col with a power line going through on the left side. The mountain has a steep side facing Finse. One may climb the mountain going up through the col, then traversing the back side before making a final ascent. 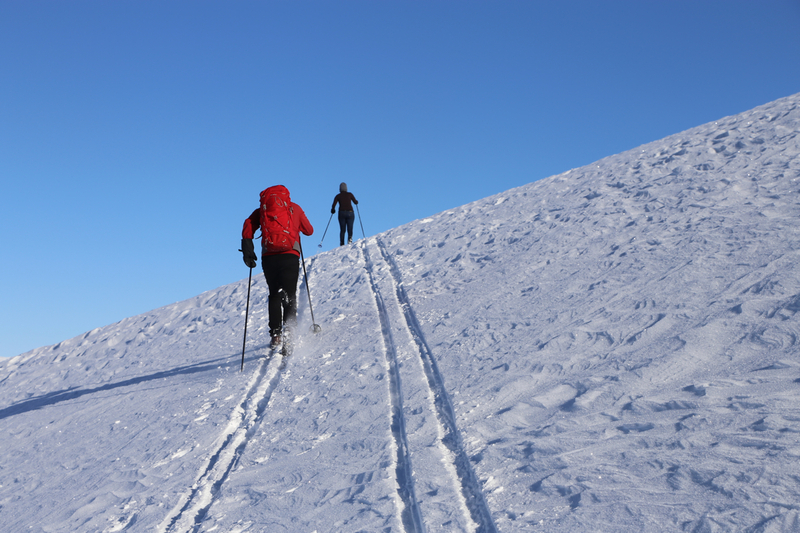 Alternatively, and this is likely the most direcct route, ski up on the right hand side of the mountain, contour up left when feasible and continue uphill on gentle slopes to the summit. I made this trip with Sushmita Gupta (from India) and Jan Arne Telle. The weather was extremely nice. 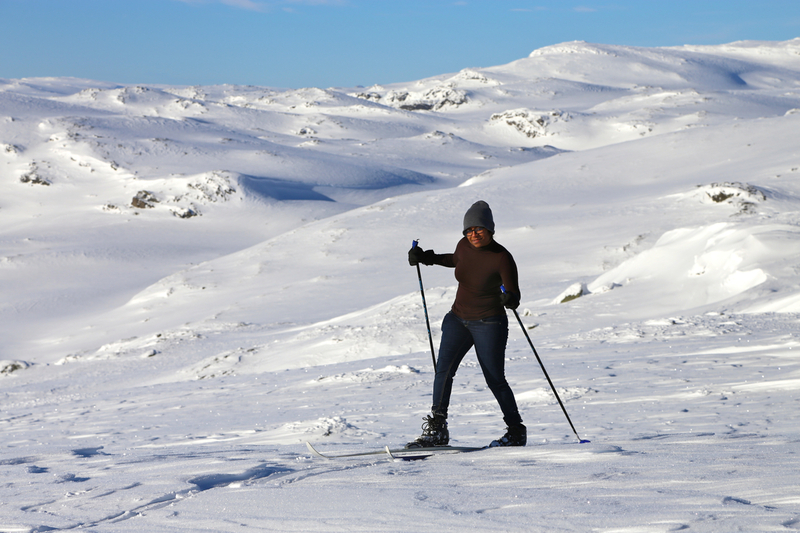 This was the first time skiing for Sushmita and obviously, a quite extreme introduction to the sport. 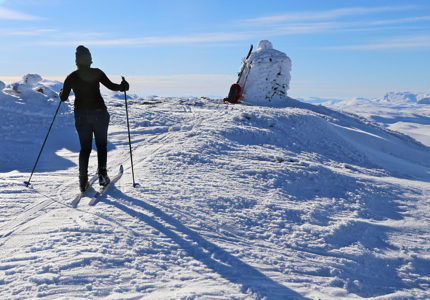 We skied up on the west side and reached the summit cairn in about 2:30. 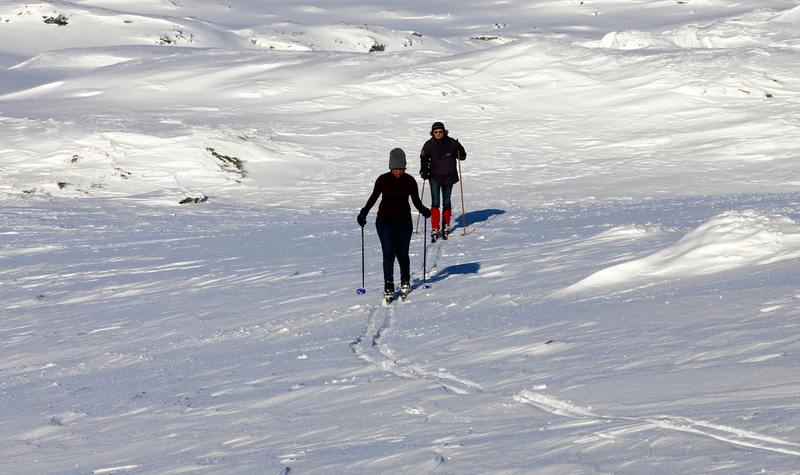 Since Sushmita had no experience in skiing back down, the descent (this time going on the east side) took 2:45. 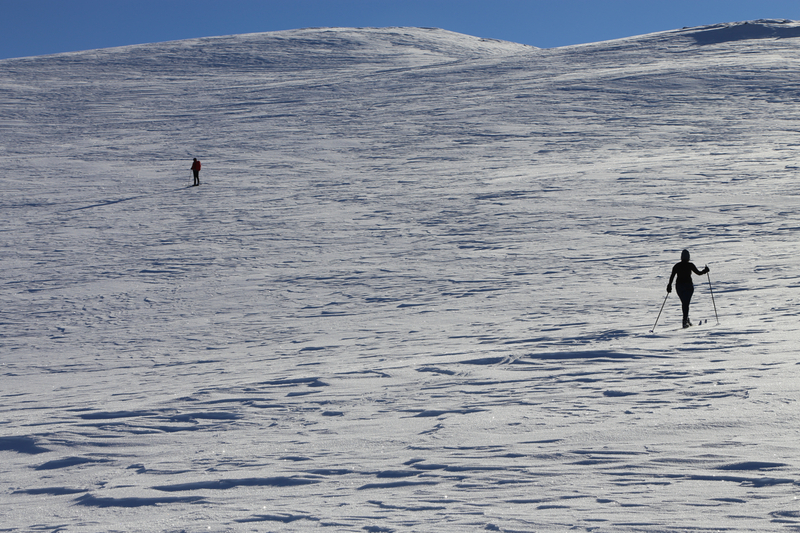 A normal skier in good shape should be able to complete this trip in about 2 hours. The Hardangerjøkul as seen from the summit.